Clear some space on your iPhone! 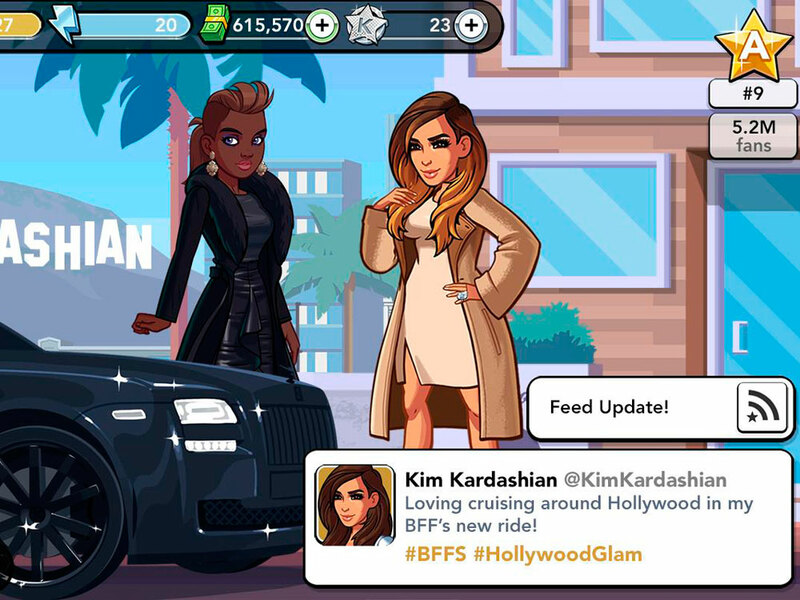 If you’ve found yourself embarrassingly addicted to the Kim Kardashian game, first of all: don’t worry, we’re all at it. Secondly, you’ll be excited to hear that in the next hot game you can be the Princess of Pop herself, Britney Spears. Britney has signed up for a five-year contract with the publishers of Kim Kardashian: Hollywood, allowing them to use her likeness and her voice for a game that will give users the chance to live her popstar life. It will launch next year, and it’s part of a big expansion in ‘celebrity gaming’ from makers Glu Mobile. Katy Perry also has a game coming out later this year, while Kim Kardashian’s app launched last June and has already made around $100 million – and she’s rumoured to get a 45% share of net profits.